This is the Carzone.ie guide to buying a used Ford Edge. Ford originally launched a large SUV with the Edge nameplate back in 2007, but the first-generation machine was destined to remain an American-market product. However, with the explosion of interest in SUVs this side of the Atlantic in the 2010s, the US car giant decided to bring the second-generation Edge to Europe, with sales commencing early in 2016. The Edge is a large, premium SUV. Ford decided to bring the Edge to Europe solely with diesel power and that remains the case today, so all Edges on the used market will be running on diesel. Prior to a late 2018 facelift and tech update, the Edge came as a five-seat SUV with just two diesel drivetrains: a 180hp, single-turbo unit with a six-speed manual gearbox; and a 210hp, biturbo with a six-speed Powershift automatic. The aforementioned update for the 2019 model year brought in a new entry-level diesel, with 150hp, while the 180- and 210hp motors were uprated to 190- and 238hp respectively. An improved eight-speed Powershift was brought in for the 238hp flagship and this gearbox became standard-fit on the 150hp entry-level model too; the 190hp Edge continued with the six-speed manual only. 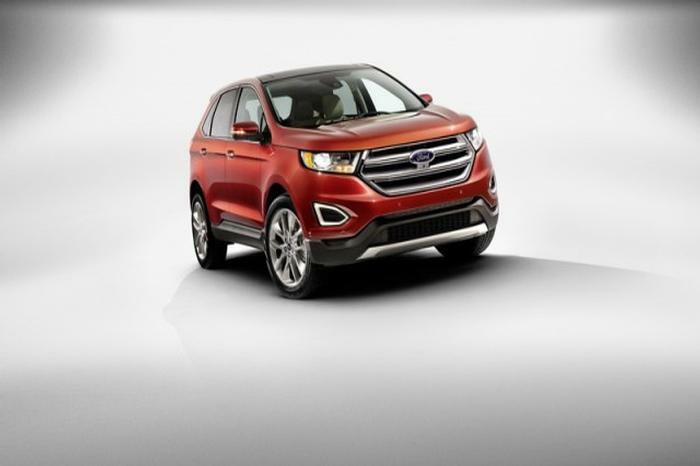 With the exception of the post-2018 150hp Edge, all other models feature four-wheel drive – the 150hp introduced a front-wheel-drive variant to the Ford SUV’s line-up for the first time. The Edge’s strength is the sheer size of its cabin; it is vast within and capable of seating five adults in comfort, while the boot is also huge at 602 litres minimum. However, there has never been a seven-seat option offered, which makes it look pricey compared to rival vehicles, while the 2018 facelift saw the Edge’s distinctive full-width LED rear light signature replaced with more conventional separated lamp clusters. Prior to the facelift of 2018, a sporty ST-Line trim was added to the Edge line-up, which continues with the 2019MY cars. The 238hp/500Nm post-facelift Edge might look to be the best bet, because the Ford is a heavy machine and it needs a powerful engine to make it feel punchy enough to justify the premium aspirations, but actually the 238hp model is still quite new and even used examples will be expensive. Also, it’s not as quick, on paper, as the older 210hp diesel, which serves as a fine way into used Edge ownership. The Ford Edge might be a US product appropriated for Europe, but it’s a likeable and talented SUV nonetheless. It won’t suit those on a budget, nor larger families who need seven seats, but the Edge is a worthy alternative to the premium elite.